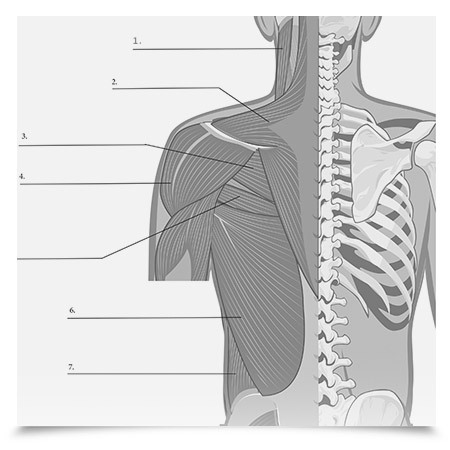 We are proud to offer fantastic resources compiled by our anatomy artist Clint Morris and the Humanatomy team. Certain resources are for premium members only. Become a premium member for a one time fee of $24.95 to receive access to all of our resources! 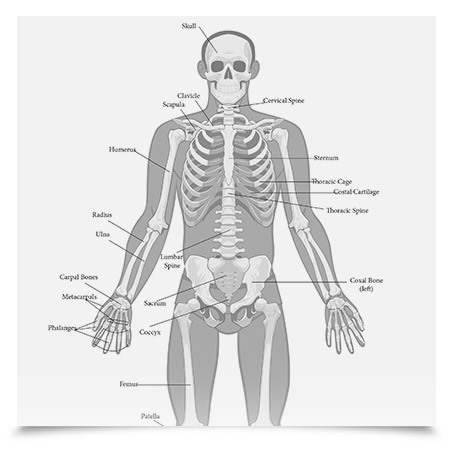 A detailed reference of the Anterior Skeleton outlining all major bones and groups. 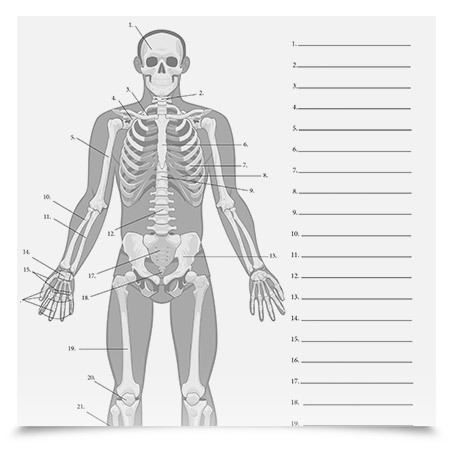 A test of 25 major bones and bone groups of the Anterior Skeleton. Access to this resource is available to premium members only. 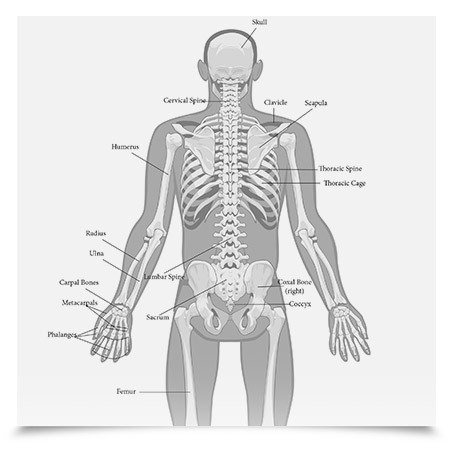 A detailed reference of the Posterior Skeleton outlining all major bones and groups. 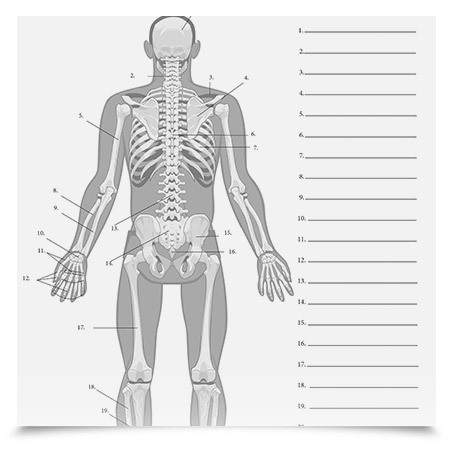 A test of 22 major bones and bone groups of the Posterior Skeleton. 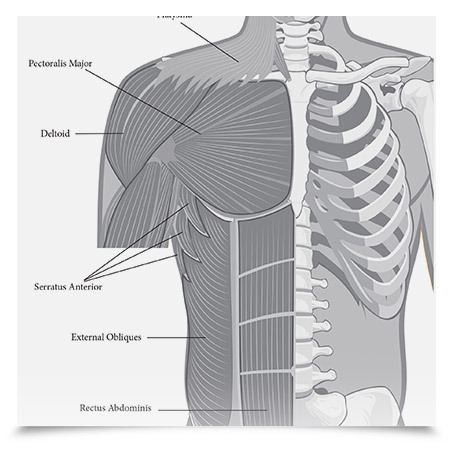 Close up view of the muscle groups of the Anterior Superficial Torso. 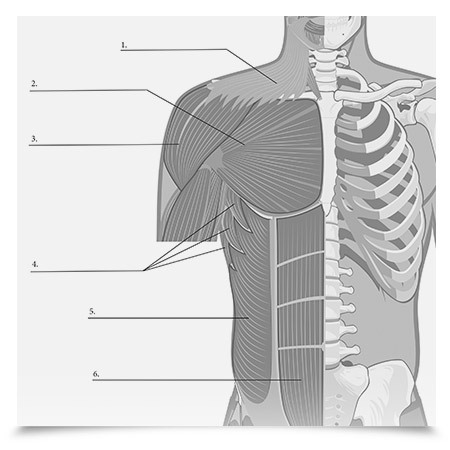 A test of the muscle groups of the Anterior Superficial Torso. Close up view of the muscle groups of the Posterior Superficial Torso. 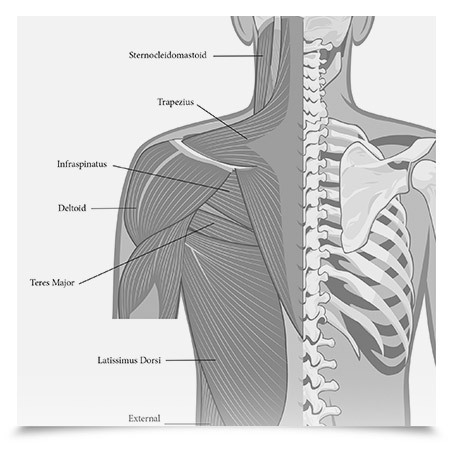 A test of the muscle groups of the Posterior Superficial Torso. 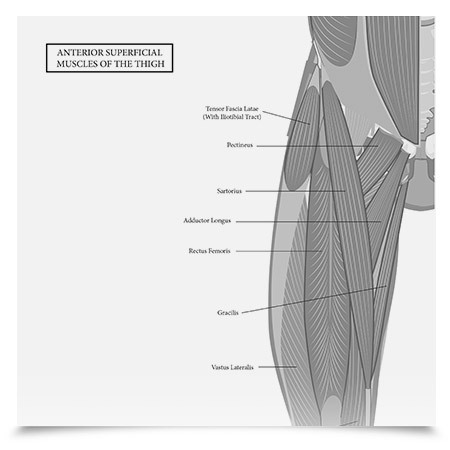 Close up view of the muscle groups of the Superficial Thigh. 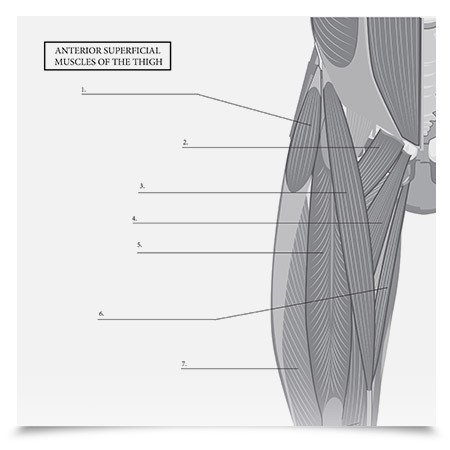 A test on the muscle groups of the Anterior Superficial Thigh. 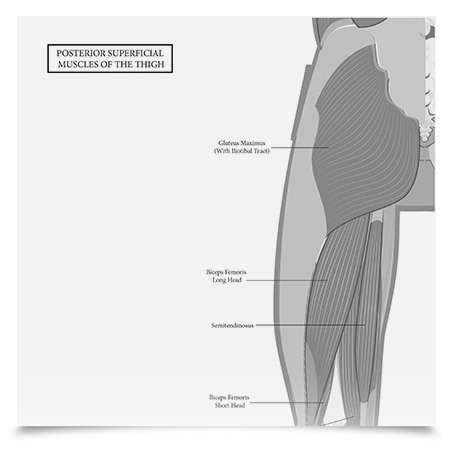 Close up view of the muscle groups of the Posterior Superficial Thigh. 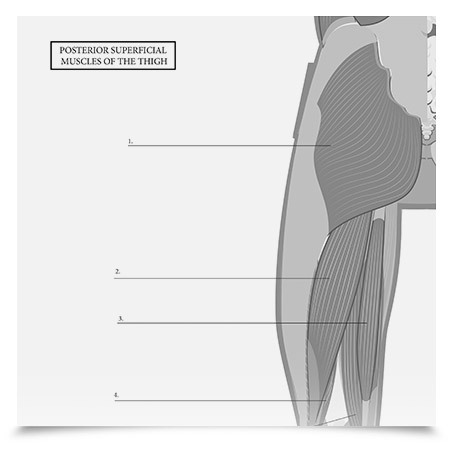 A test on the muscle groups of the Posterior Superficial Thigh. We don't have any Word documents yet. Check back again soon. We don't have any Jpegs yet. Check back again soon.